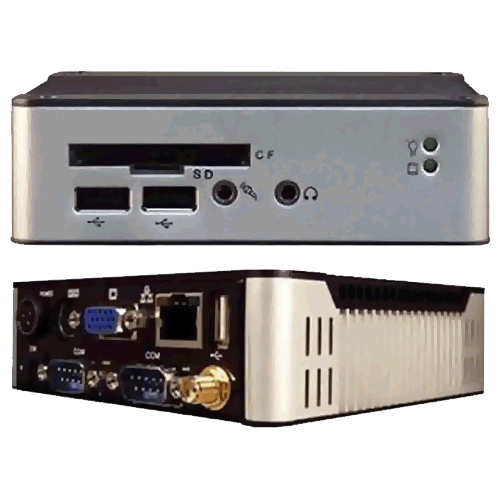 Embedded Servers | EMAC Inc.
EMAC's Server-In-a-Box line of Embedded Servers and Industrial PCs are Single Board Computers built into small, rugged embedded servers. 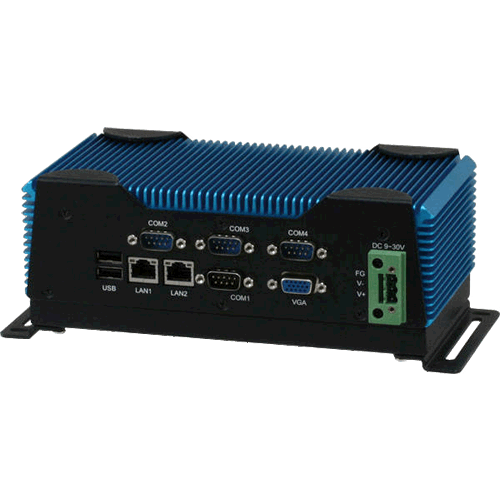 These Industrial PCs are just as comfortable in the industrial environment as they are on a desktop while providing only the requred portions of the functionality from a conventional server. 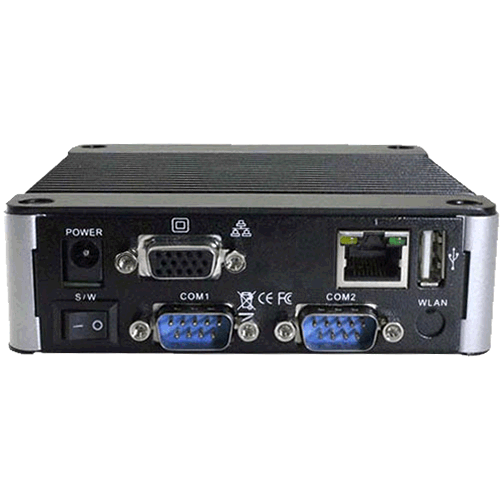 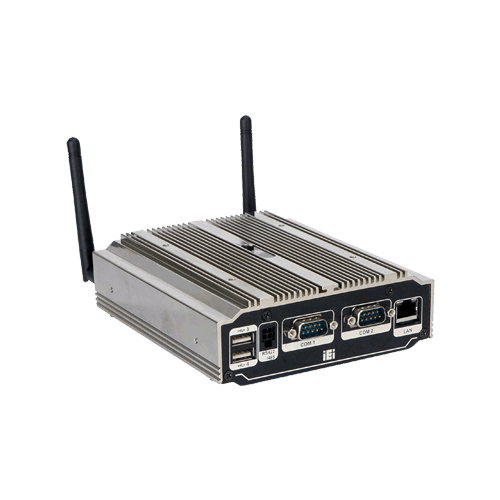 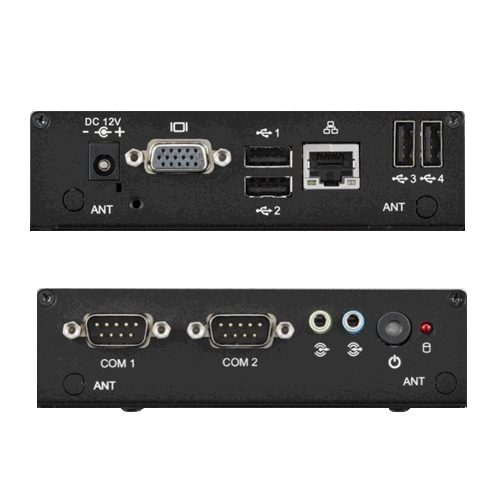 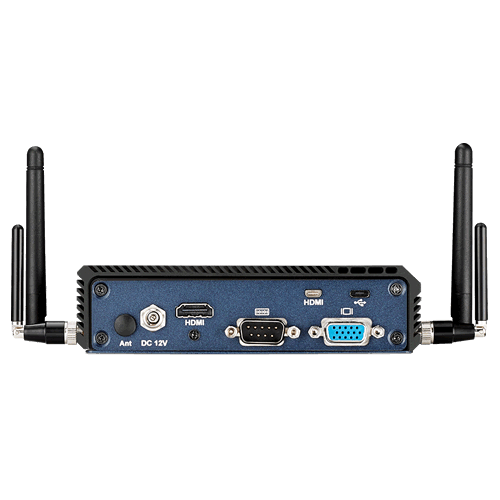 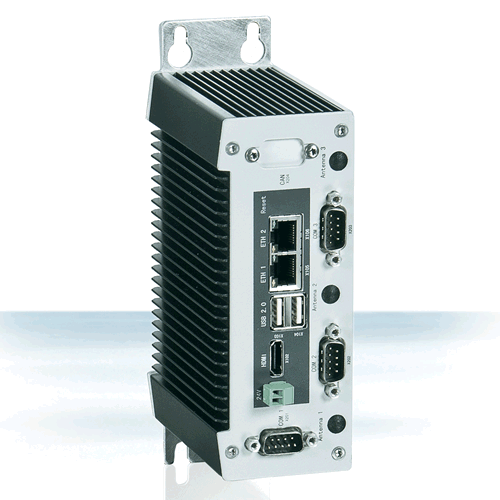 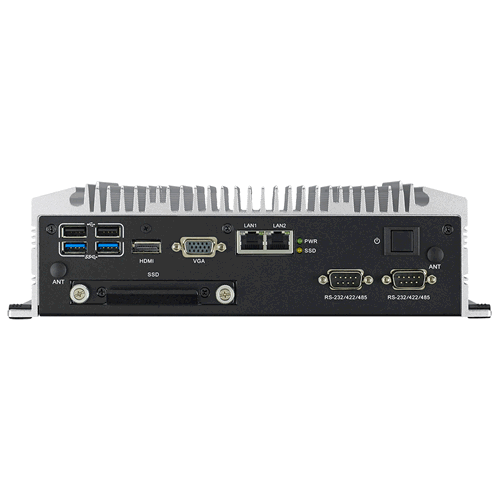 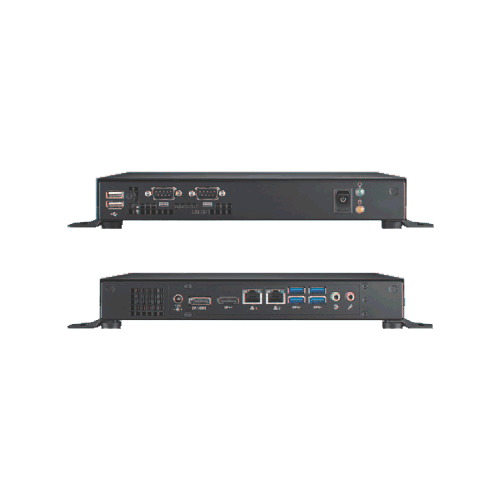 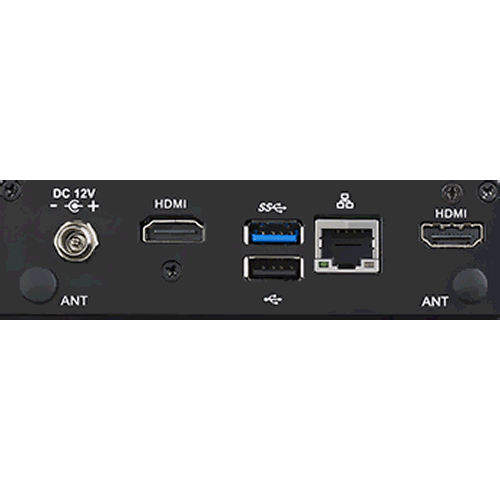 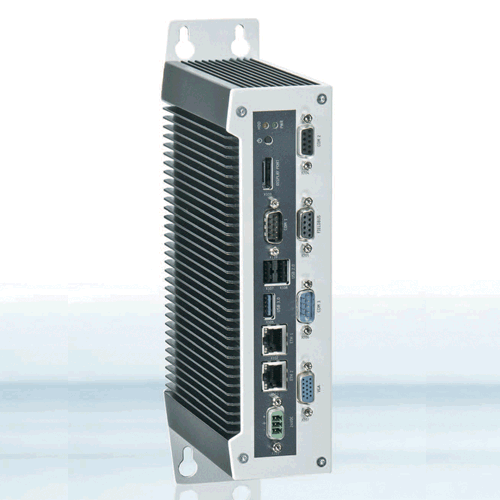 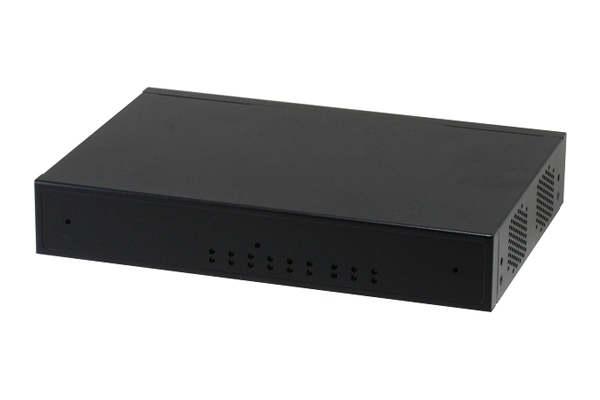 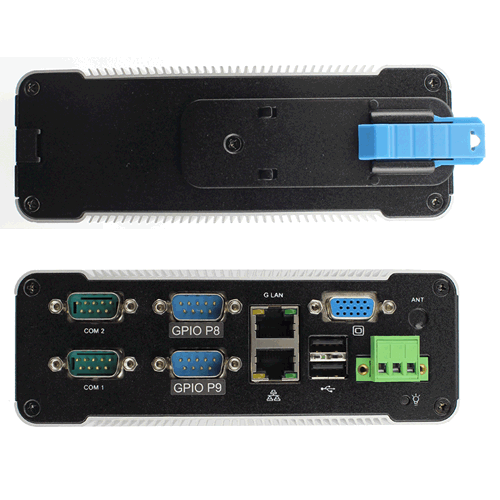 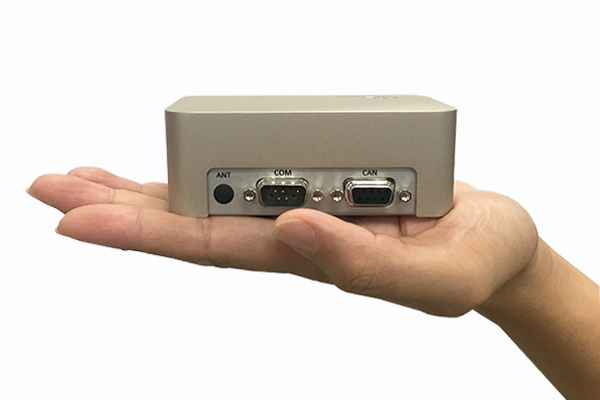 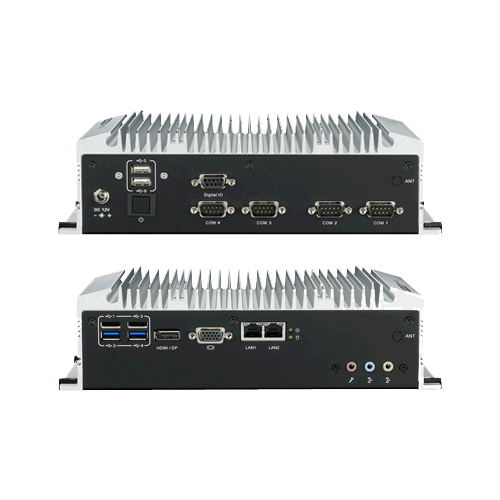 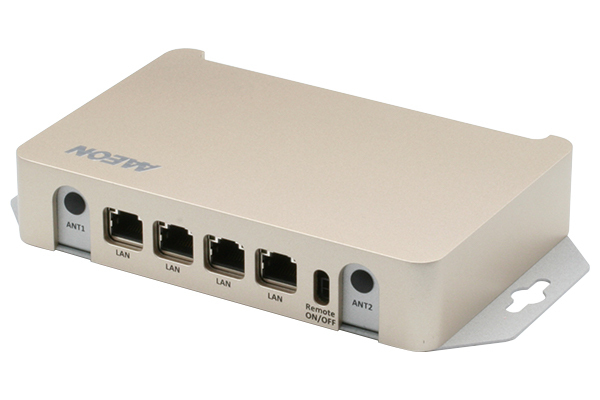 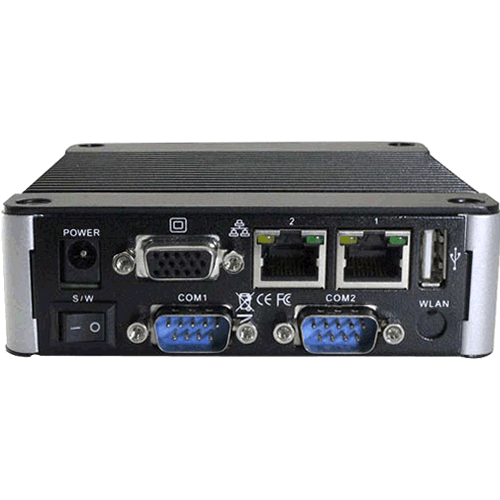 In order to toughen these embedded servers EMAC utilizes a Flash Disk in place of a hard drive and a fanless embedded SBC providing a server with no moving parts. 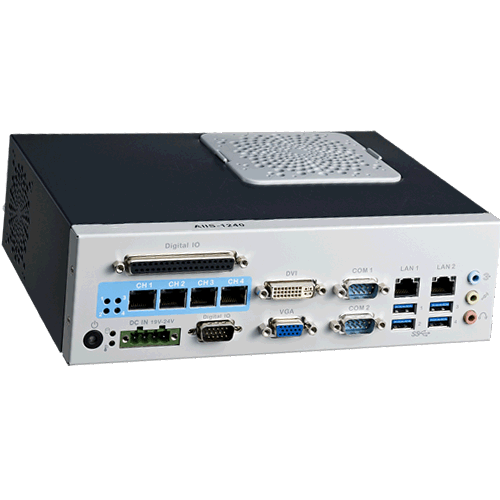 On the software side, EMAC supports the most popular Embedded Operating Systems (OS), Embedded Linux and Real Time Linux, Windows Embedded Standard, or Windows 10 IoT. 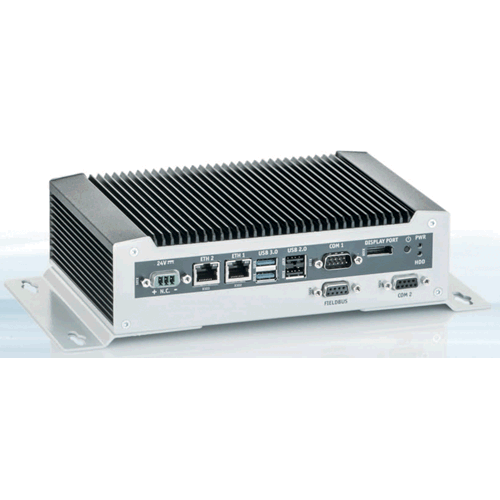 EMAC has the expertise to customize the Embedded OS build to meet your application needs if required. 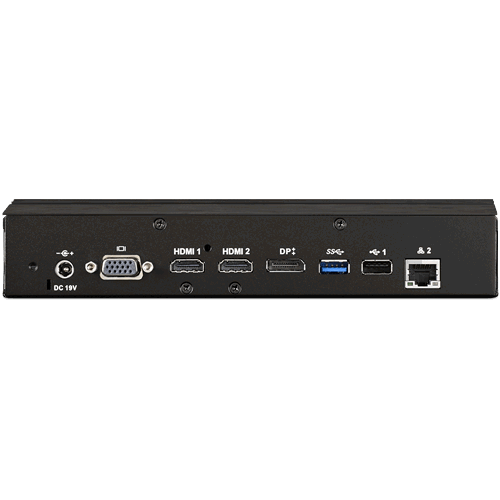 This custom Embedded OS build can be archived under a unique part number guaranteeing that you receive the correct build each time you order. 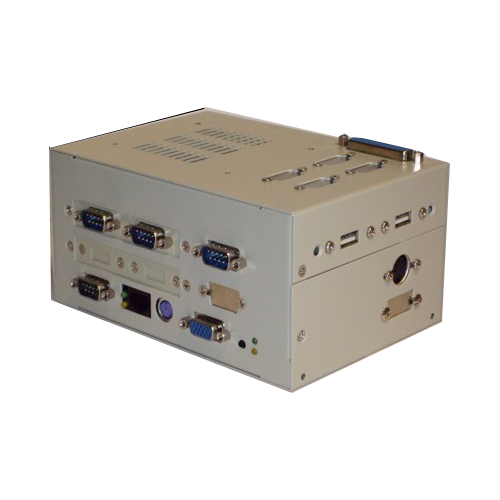 If your application does not require a chassis/case or power supply you can utilize one of EMAC's Single Board Embedded Servers. 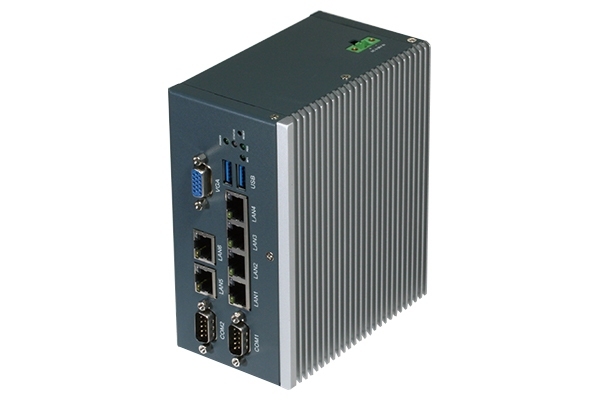 These Single Board Embedded Servers can utilize virtually any Single Board Computer that EMAC sells. 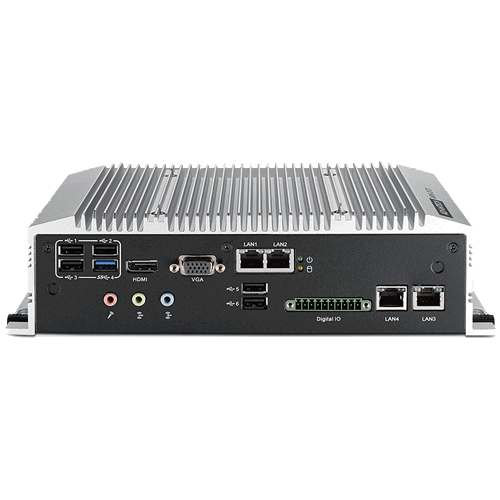 Just select an SBC, add flash, and select an OS along with any extra components you might need. 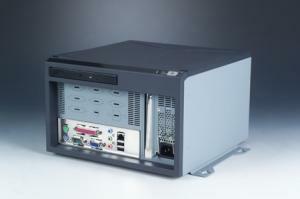 Receive consultation or product quotes from our sales staff, today. 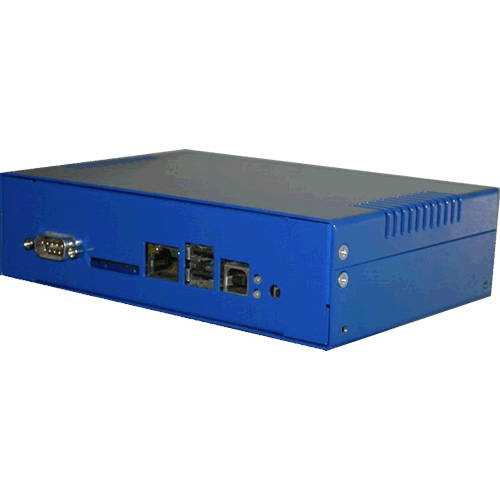 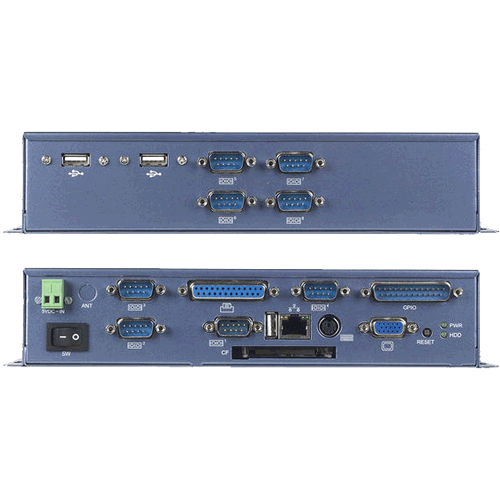 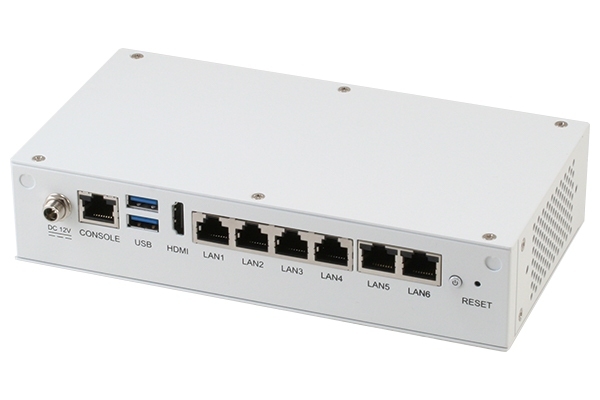 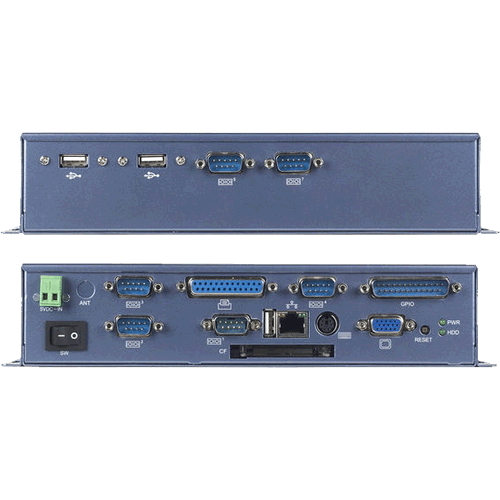 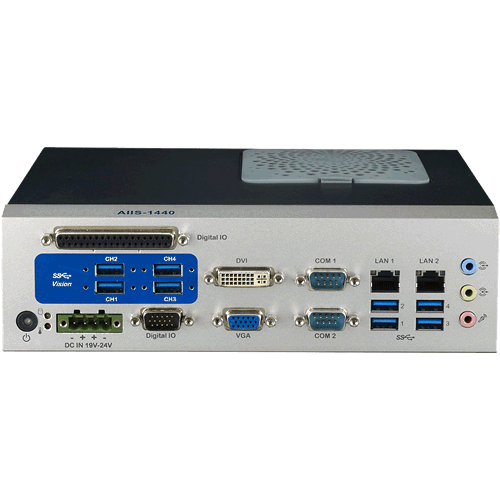 536 MHz 512 MB LP DDR2 RAM 3x RS232, 1x RS232/422/485 2x USB 2.0 Host, 1x USB 2.0 Device 1x 10/100 BaseT Ethernet 1.75" ×6.5" ×4.45"
1.7 GHz Up to 8GB DDR3 SODIMM, AMI BIOS Up to 4x RS-232/422/485 Up to 3x USB 3.0 & 4x USB 2.0 VGA & HDMI/DP (DVI-D Optional) Up to 4x Gig Ethernet with RJ-45 2x Full-Size Mini-PCIe & 1x half-size Mini-PCIe 10.41" ×2.96" ×5.25"
1.9 GHz Up to 8GB DDR3L SODIMM, AMI EFI BIOS 2x RS-232/422/485 2 x USB 2.0 & 2 x USB 3.0 Ports VGA & HDMI/DP 2x 10/100/1000 Mbps & Up to 4 POE 10/100 4x Mini PCIe (Full-size & Half-size) 10.41" ×2.96" ×5.24"
1.91 GHz 4GB DDR3L Onboard, AMI uEFI 2x RS232/RS422/RS485 2x USB 2.0 HDMI 2x 10/100/1000 Mbps 1x Mini-PCIe Full-Size 5.91" ×2.24" ×3.74"
SIB-A1440 Intel® 3rd/2nd Core™ i7/i5/i3 Up to 16GB DDR3, AMI BIOS 6x RS232 8x USB 3.0 Port, 4x USB 2.0 VGA & DVI-D LAN1: Intel 82579V & LAN2: Intel 82583V 9.06" ×2.76" ×6.89"
1.1 GHz Up to 8GB DDR3L SODIMM, AMI BIOS 1x RJ45 Console (speed set in CMOS) 2x USB 3.0 HDMI 6x Intel i211 Gigabit ethernet 2x Mini-PCIe Mini-Card socket (full-size) with SIM socket 7.87" ×4.13" ×1.73"
1.6 GHz Up to 8GB DDR3L 2x SODIMM, AMI BIOS 1x RJ45 Console (speed set in CMOS) 2x USB 3.0 HDMI 6x Intel i211 Gigabit Ethernet (4x Intel i211 Gigabit Ethernet optional) Mini-Card slot with SIM socket (USB Signal only, full size) (second Mini-Card optional) 10.23" ×7.01" ×1.73"
1.1 GHz up to 8GB DDR3L SODIMM, AMI BIOS 2x RS232/422/485 with Isolation 2x USB 3.0 VGA (optional DP) 6x Intel i211 Gigabit ethernet Mini-Card slot with SIM socket 5" ×3" ×5.75"
1.6 GHz 2 GB 2x RS-232 4x USB 2.0 VGA/HDMI 1x RJ-45 1x PCIe GbE by Realtek 8111E Full Size Mini-PCIe (Reserved for optional Wifi Module) 5.74" ×5.2" ×1.81"
SIB-A8110 Nvidia Jetson TX2 HMP Dual Denver 2 +Quad ARM A57 8GB onboard DDR4 1x RS232 2x USB3.0 / 1x USB OTG HDMI 1x Gigabit Ethernet 4.33" ×1.57" ×2.56"
SIB-A8120 Nvidia Jetson TX2 HMP Dual Denver 2 +Quad ARM A57 8GB onboard DDR4 2x RS232 2x USB3.0 / 1x USB OTG HDMI 4x Gigabit Ethernet 6" ×3.98" ×1.18"
500 MHz 4GB CF / Up to 1GB RAM 3x RS-232, 1x RS-232/485, 1x Parallel SPP/EPP/ECP 2x USB 2.0 Analog SVGA Video with 2D/3D graphic & MPEG4 decoding 10/100 Base-T Ethernet ISA bus expansion with onboard PC/104 connector 2.75" ×6.53" ×4.45"
800 MHz 256/512 MB DDR2 Onboard, AMI BIOS 4x RS-232 (1x 232/422/485) 3x USB 2.0 VGA/LCD/LVDS 3x 10/100 Mbps Ethernet PC/104+, Mini-PCI 6" ×10" ×2.25"
800 MHz 512MB/1GB DDR2 Onboard, AMI BIOS 4x 232/485 5x USB 2.0 VGA/LCD/LVDS 2x 10/100/1000 and 1x10/100 Ethernet PC/104 standard compliant 6" ×10" ×2.25"
800 MHz 256/512 MB DDR2 Onboard, AMI BIOS 8x RS-232 Ports (1x RS-232/422/485 Port) 3x USB 2.0 Ports VGA/LCD/LVDS 1x 10/100 Ethernet PCI-104 Standard Compliant 6" ×10" ×2.25"
800 MHz 256/512 MB DDR2 Onboard, AMI BIOS 6x RS-232 (1xRS-232/422/485) 3x USB 2.0 Ports VGA/LCD/LVDS 1x 10/100 Ethernet PCI-104+ Standard Compliant 6" ×10" ×2.25"
600 MHz 256/512MB DDR2 Onboard, AMI BIOS 2x RS-232 3x USB 2.0 Ports VGA 1x 10/100 Ethernet 1x Mini PCI expansion slot 4.5" ×4.5" ×1.38"
933 MHz 1GB/2GB DDR2 Onboard, AMI BIOS Up to 4x RS-232 3x USB 2.0 Ports VGA 1x 10/100 Ethernet Internal USB for WIFI 4.5" ×4.5" ×1.38"
933 MHz 1GB/2GB DDR2 Onboard, AMI BIOS Up to 4x RS-232 3x USB 2.0 Ports HDMI 1x 10/100 Ethernet Internal USB for WIFI 4.5" ×4.5" ×1.38"
933 MHz 1GB/2GB DDR2 Onboard, AMI BIOS RS-232/422/485 3x USB 2.0 VGA 1x 10/100 Ethernet Internal USB for WIFI 4.5" ×4.5" ×1.38"
933 MHz 1GB/2GB DDR2 Onboard, AMI BIOS RS-232/422/485 3x USB 2.0 HDMI 1x 10/100 Ethernet Internal USB for WIFI 4.5" ×4.5" ×1.38"
933 MHz 1GB/2GB DDR2 Onboard, AMI BIOS Up to 4x RS-232 3x USB 2.0 Ports VGA 1x 10/100/1000 and 1x 10/100 Ethernet Internal USB for WIFI 4.5" ×4.5" ×1.38"
933 MHz 1GB/2GB DDR2 Onboard, AMI BIOS Up to 4x RS-232 3x USB 2.0 Ports HDMI 1x 10/100/1000 and 1x10/100 Ethernet Internal USB for WIFI 4.5" ×4.5" ×1.38"
933 MHz 1GB/2GB DDR2 RAM Onboard, AMI BIOS 2x RS-232/422/485 (GPIO Optional) 3x USB 2.0 Ports VGA 1x 10/100/1000 and 1x10/100 Ethernet Internal USB for WIFI 6" ×4.1" ×2.13"
2 GHz Up to 8 GB DDR3L SODIMM, AMI EFI Up to 6x RS-232/422/485 Up to 6x USB HDMI & VGA Up to 6x LAN 4x Mini PCIe (used by Wireless Options) 10.41" ×2.69" ×5.24"
1.46 GHz Up to 8GB DDR3L SODIMM, AMI EFI BIOS 1x RS-232 or 1x RS-422/485 by BOM Option 1x USB 3.0 Port, 2x USB 2.0 Ports HDMI, Micro HDMI, VGA 2x 10/100/1000 Mbps LAN 2x Mini PCIe 5.5" ×1.4" ×4.6"
SIB-A1240 Intel® 3rd/2nd Core™ i7/i5/i3 Up to 16GB DDR3, AMI BIOS 6x RS-232 4x USB 3.0 Port, 4x USB 2.0 VGA & DVI-D 6x 10/100/1000 Mbps 9.06" ×2.76" ×6.89"
1.6 GHz 2GB DDR3 SODIMM, AMI BIOS 1x RS-232/422/485, 3x RS-232 4x USB 2.0 Ports 1x VGA 2x 1 Gig Ethernet with 2x RJ-45 Connector 1x Mini Card Slot 8.35" ×3.1" ×2.25"
1.86 GHz Up to 4GB RAM DDR3 SODIMM, AMI BIOS Up to 2x RS-232, 2x RS-232/422/485 Up to 4x USB HDMI & VGA 10/100/1000 Mbps with Up to 2x RJ45 Up to 1x half size Mini-PCIe & 1x full size Mini- PCIe 5.27" ×1.7" ×3.71"
2 GHz Up to 8 GB DDR3L SODIMM, AMI 64 Mbit Flash BIOS Up to 2x RS-232/422/485 Up to 2x USB 2.0 Ports & 1x USB 3.0 Port VGA or 2x HDMI 10/100/1000 Mbps with Up to 2x RJ45 2x Half Size Mini-PCIe Slot 5.27" ×1.7" ×3.71"
2 GHz Up to 8GB DDR3L, AMI uEFI 64 Mbit 2x RS-232 3x USB 2.0, 1x USB 3.0 2x HDMI, 1x DP++, 1x VGA 1 Gig Ethernet with 2x RJ-45 2x Full-Size Mini-PCIe (optional expansion modules) 8.66" ×1.75" ×5.9"
SIB-A1230 4rd Gen. Intel® Core™ i5-4300U or Intel® Celeron™ 2980U 16x GB DDR3L SODIMM, AMI EFI 2x RS-232 2x USB 2.0 & 4x USB 3.0 Ports HDMI & DP++ 2x 10/100/1000 Mbps with RJ-45 2x Mini-PCIe (1x Full-Size & 1x Half-Size) 9.84" ×1.38" ×7.48"
1.86 GHz 4 GB DDR3 1066 MHz, AMI EFI BIOS 1x RS232, (1x RS232/422/485 2nd COM) 2x USB 3.0 & 2x USB 2.0 Ports HDMI/DP 2x 10/100/1000 Mbps Intel® 82583V Ethernet controller 1x Mini-PCIe Full-Size 8.27" ×2.56" ×5.51"
1.91 GHz 8x GB DDR3L, UEFI 1x RS232 (Optional 2nd RS232/422/485 3rd COM as RS422/485) 1x USB 3.0, 2x USB 2.0 VGA & HDMI/DP 2x Giga LAN 10/100/1000 Mbps 2x Mini PCIe 8.27" ×2.56" ×5.51"
400 MHz 1GB DDR3L Onboard, UEFI FW BIOS 2x RS232/422/485 2x USB 2.0 HDMI 10/100 & 10/100/1000 Ethernet 1x Mini PCIe Full-Size 5.91" ×2.24" ×3.74"